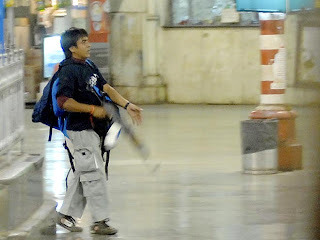 Full name of "Kasab" was "Mohammad Ajmal Amir Kasab"
He was from Faridkot, Punjab, Pakistan. He and he was born on 1987. He came to India to become an Actor and wanted role in Bollywood Films. He has been trained by Jehad Pakistan. At his Childhood he was a playful boy. He left his village in search of some work or job. "Haji Mohammad Aslam" Kasab's Neighbour. He said that he come from a Noble, Humble and Honest family. His Father was a "Street Vendor". He used to sell snacks on streets. His family is still Poor. and Most Interesting thing is that he was not even 17 at the time of attack. Kasab was the only person who survived among 10 terrorists. Police asked Kasab," do you Feel any Pity for the people Who were killed in 9/11 by you. "You have to these things if you are going to be a Big man and get Rewarded in Heaven". he was poor teenager labor. he knew "karate" very well. 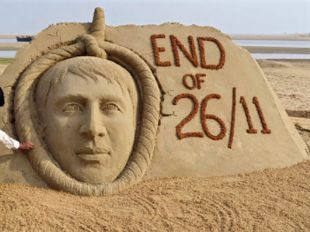 He got Hanged in Yarveda Jail, Pune on 21/11/2012. why every terrorist is a Muslim? if u don't agree then explain it ? NOTE:- If you want to share something interesting.